steak, grilled onions, bell peppers & whiz. chicken, grilled onions, bell peppers & melted monterey jack cheese. mushrooms, jalapenos, grilled onions, bell peppers, black olives, tomatos, melted monterey jack & provolone. sausage, egg, grilled onions, bell peppers & whiz. mushrooms, jalapenos, pizza sauce, egg, black olives. bacon, provolone, chili or extra cheese (whiz or monterey jack). 1 lb. 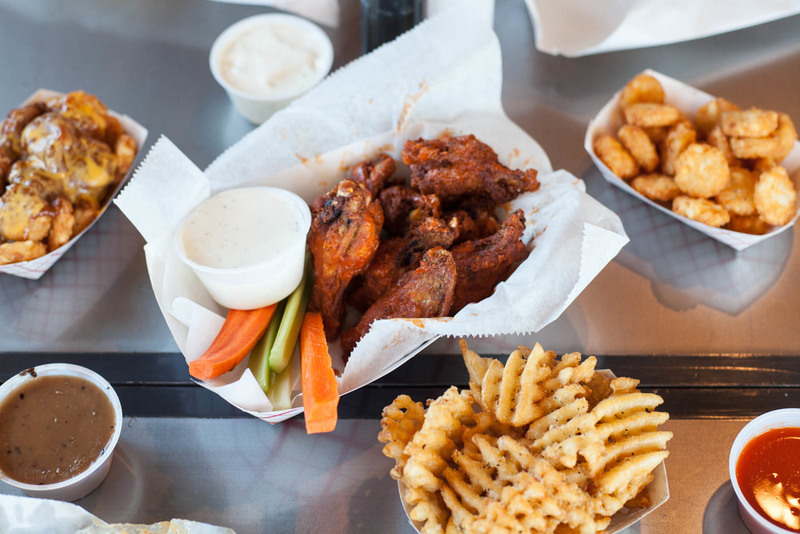 of wings smothered in Frank's wing sauce and served with a side of bleu cheese or ranch. 3 pieces of breaded chicken breast and your choice of fries or tots served with a side of honey barbeque or ranch. 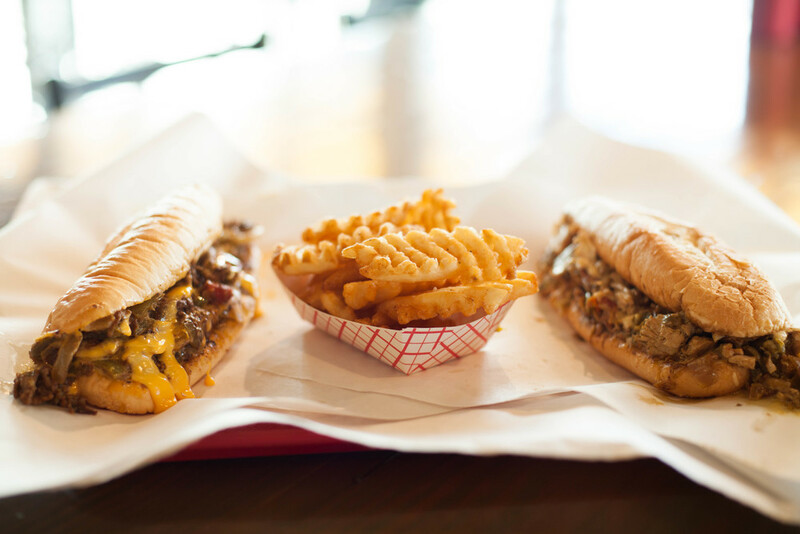 Served Philly Style on an Amoroso roll with grilled onions, bell peppers & whiz. 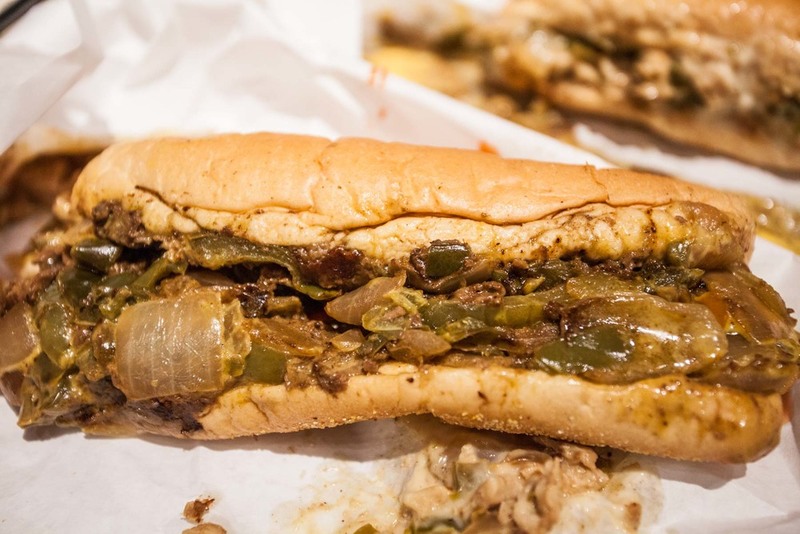 Nathan's all beef frank served on an Amoroso roll with grilled onions, bell peppers & whiz. Grilled steak, red onions, tomatos, bleu cheese crumbles served on a bed of Romaine lettuce. 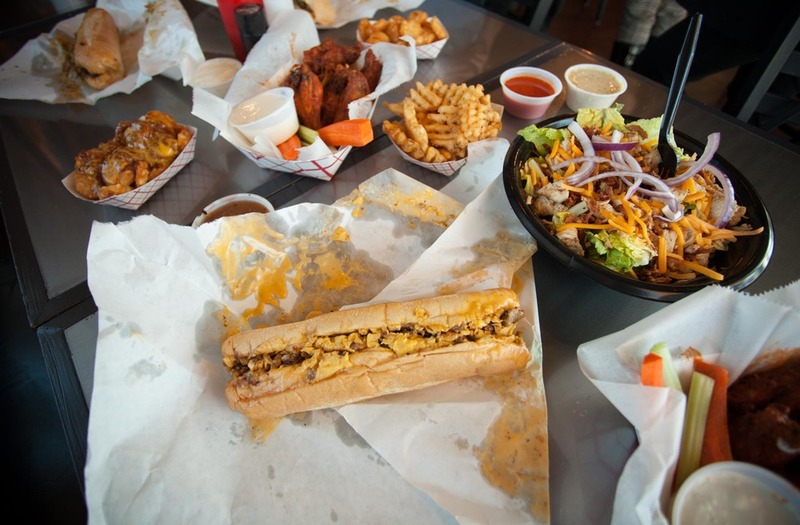 Grilled or fried chicken, red onions, tomatos, bacon and shredded cheddar cheese served on a bed of Romaine lettuce. Enjoy Coors Light drafts or any domestic bottle for only $2 all day every day!